You should never book either of the driving tests without first discussing it with your instructor. The Driving test is split into two parts. One Theory test and one practical (actual driving). The theory test itself is also split into two parts; both of which you must pass in order to successfully complete this portion of test. 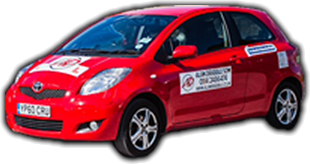 You need to take and pass the theory test before you can book your practical test which makes it vital that you get your theory test sorted as soon as you can. There are long waiting periods for both tests depending on the test centre! The first part of the Theory Test consists of multiple choice questions which will test your understanding of the highway code, as well as other driving relating theory. To pass this part you must answer 43 out of 50 questions correctly within 57 minutes. Questions are chosen at random from a bank of over a thousand questions. During the test you have the option to skip questions and return to them later, so if you can't remember the answer to a question you can return to it once you've answered the rest. 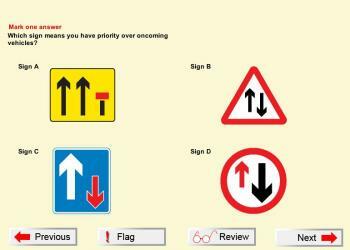 The second part of the Theory test is the hazard perception test. The pass mark for this is 44 out of 75. You must pass both parts of the test to obtain a test certificate. For this part of the test you will be shown fourteen different video clips and you must identify what you believe to be the signs of a potential hazard by tapping (or clicking) the screen at the relevant times. You only have a short window of time to mark these hazards, which determines how many points you get (from 5 points to 1 point). You should always try to mark as soon as a hazard becomes clear to you. We recommend you mark a potential hazard twice to ensure you hit the mark. Keep in mind these hazards can appear on a variety of different road types from quiet country lanes to busy cities. Each scene will always have at least one hazard to identify. Do not attempt to consistently press or press in a rhythm; you will be scored with a Zero. You will get your pass certificate, which lasts two years. This means you have a two-year period in which to take and pass your practical test. If you don't do it within this period you have to take the theory and hazard tests again. You'll need to rebook your theory test again; don't fret though. A lot of people fail the theory test first time because they don't pay the test the respect it deserves and attempt to cram in everything the night before. There isn't a huge margin for error, and though common sense can carry you so far, a lot of the questions require very specific factual information (like average breaking distances) that you either know or you don't. You need to study the Highway Code in enough detail and use a reliable theory test practical tool like "Driving Test success". If you're learning with us then we've got you covered. Here at Adsom we provide all our pupils with free access to Theory Test Pro, which is a fully fledged online Theory Testing platform that covers both the hazard perception and multiple choice segments of the test. This gives you the ability to practice the test as much as you want, and also gives your instructor the ability to track your progress so they can help you out. Don't worry, all the questions are up to date. Theory Test Pro uses official content directly from the DSA and they update their question banks automatically whenever the DSA issues a new set of questions, too. The practical test includes several parts. At the start of the test before you even start driving you will have your eye sight checked. This consists of reading a number plate from approx 20 metres away (20.5 for vehicles with an old style number plate). You are allowed to write down what you see rather then just speaking it aloud. 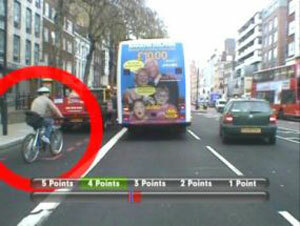 If you fail the eye sight check you will immediately fail your test. Following this you will be asked two vehicle safety questions referred to as "show me, tell me". The examiner will ask you one ‘show me’ question, where you’ll have to show them how you would go about a vehicle safety check. You’ll also be asked one ‘tell me’ question, where you’ll have to explain how you’d carry out the check. This should be covered by your instructor. The possible questions are available on our "show me tell me" page. If you get either of the questions incorrect, you will recieve one minor. The final core part of your practical exam involves you actually driving. Your examiner will give you directions and will have you drive in a variety of road/traffic conditions. You will also be tested on several different maneuvers as well as having 10 minutes of independent driving. The majority of what you'll learn in your actual driving lessons will be tested here. Everything will be covered in depth in your lessons with your instructor. Hopefully this page has helped you get a better understanding of what's to come. Good luck.